Once Upon a Dream is a nighttime pamper routine series where each post will center around a different theme/location. For some posts, we may will escape to a dreamy night in Paris, others, a quiet evening walk through an woodland forest. My goal for this series is to give you different ways to relax and wind down while feeling like you've traveled without even having to leave your bedroom. Thanks for checking out this edition of Once Upon a Dream! Welcome to the second post in my Once Upon a Dream series! Switching gears from “a Parisian Night In”, today’s theme will be “An Evening in the Enchanted Forest”. It can be difficult to tie in a fairytale theme into a lifestyle blog sometimes, but what I like about this themed night routine series is how it allows me to be creative without boundaries. And of course, it’s an excuse for me to be able to sneak in fairytale motifs, like an enchanted wood. There is nothing more calming than a walk through the woods at night. It feels like nothing and no one in the world exists except for you. It’s a lonely feeling, but a good kind of loneliness. In this post, I will give you tips and tricks on how to have a relaxing night in, while feeling like you’re taking a night time stroll through an enchanted forest, without even having to leave your bedroom! If you’re a lover of nature or fairytales, this post is for you! Now, it’s time to embrace your inner woodland nymph or forest fairy. Let’s jump right in! My favorite flowers are pink roses, so I just had to include a candle that featured the scent of my favorite flower. This candle was unfortunately discontinued a while ago, but it can still be purchased on Amazon from third party sellers. Halfway Woods is a candle from Wick and Fable, a company that makes candles and teas based on books. The Hazel Wood by Melissa Albert is a dark fairytale that I had read earlier this year, and I was surprised to find that there is actually a candle based on that deliciously creepy novel. This candle smells like oak, sandalwood, and musk. Briarwick Candles on Etsy is another shop that sells candles inspired by books and book characters. This candle is inspired by the Forbidden Forest from Harry Potter. Perfect for an enchanted forest themed night! Step Two: Time for Tea! Yorkshire tea is a strong, black British tea recommended to me by a lovely Brit friend of mine, and I must say that it is the best black tea that I’ve ever had. This is the most authentically British tea that you can get in the states, and it’s easy to order it off of Amazon. It has a strong, leafy, earthy flavor. I personally love my tea very strong so I quite enjoyed this! Staying with the forest theme, the tea boxes carry the Forest Stewardship Council, which promotes responsible forest management. This tea is caffeinated though, so keep that in mind if you’re sensitive to caffeine before bed. My second tea recommendation is Dragon Pearl Jasmine by Harney & Sons, which is a Chinese tea comprised of tea pearls. This is my absolute favorite tea of all time, and I constantly have to reorder it because I run out so fast. The taste is very strong, fragrant and leafy, which I love. If you take anything from this post, it’s that you must try this tea! This is also caffeinated, so keep that in mind if you plan to drink it before bed! This was my all time favorite movie when I was younger. I remember falling in love with the movie and instantly reading the book afterwards. This book will forever be a favorite of mine. This is the absolute perfect book to read for an enchanted forest themed relaxation night. After all, this book is about a magical, secret garden! While A Little Princess will always be my absolute favorite, this one is a close second. Anne of Green Gables was one of my childhood obsessions! I absolutely adored this book, and have owned at least 2 different copies in my lifetime. Speaking of, have any other Anne of Green Gables fans tried the Netflix adaptation? Did you enjoy it as much as I did? Let me know your thoughts in the comments! Was anyone else obsessed with these books growing up? To this day, my mind still wanders to random scenes from these books from time to time. On the Banks of Plum Creek was my favorite, but I constantly read all of them over and over. Because of these books, I used to want to be a pioneer when I was younger (but not anymore obviously, because natural childbirth and malaria and all that). Life was tough back then, but the Ingalls had each other. These books will always be some of my absolute favorites! I’m sure most of you have at least seen the movie adaptation of Pride and Prejudice, so try picking up the book version this time! Jane Austen is a beautiful writer and it’s no surprise that Pride and Prejudice is one of the most popular novels in the history of English literature. This is not a very commonly known fact about me, but I have actually gone through random periods where I’ve been obsessed with crocheting. I would sit in my bedroom for hours, working on a baby blanket for my dog. There is something very therapeutic about crocheting; the process is so repetitive and monotonous that it becomes meditative and calming. If you know how to embroider, that would also be a great craft if you’re not a fan of crocheting. If you don’t know how to do either, I recommend purchasing one of those kits that you can purchase from any craft store. They’re for beginners and are easy to follow along! Working on crafts like these are a great way to unplug and unwind. End the night by journaling your thoughts. If you’ve never kept a journal before, I recommend starting a journal because it is very therapeutic to write down what’s on your mind. Take this time to reflect on what you’re grateful for and what you hope to accomplish one day. Journaling keeps you focused on your goals and reminds you that you have a lot to be grateful for. Plus, journal entries are fun to read back on, years down the road! 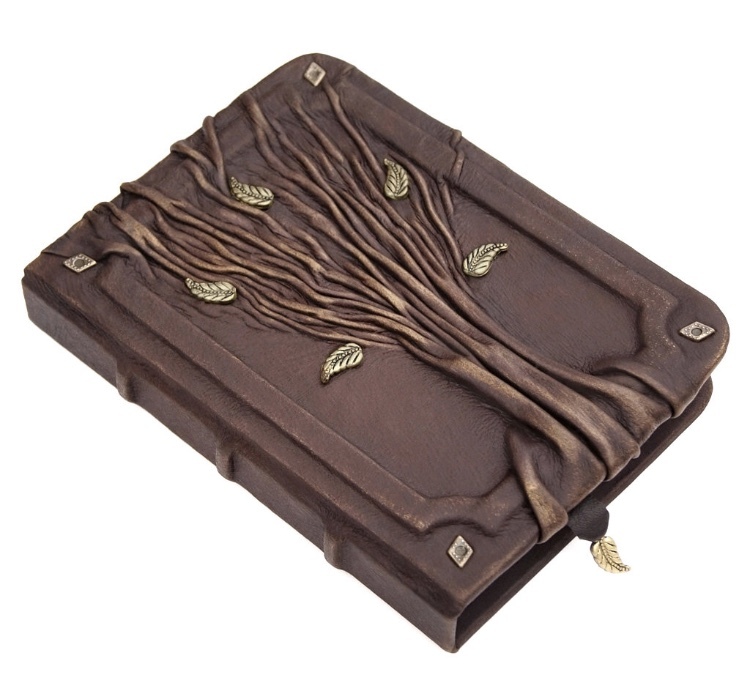 Any sort of leather journal would be fitting for a woodsy theme. Fun fact: this is the exact journal that I got for my best friend, who’s an aspiring writer. It just so happens that it fits perfectly into the enchanted forest theme of this post! Now, it’s time to leave the enchanted forest and drift off to sleep. Good night! There you have it, five steps on how to have a relaxing night in an “enchanted forest” without even leaving your bedroom. My Parisian night routine post did very well, which tells me that most of my readers are (hopefully!) enjoying this series. Since people seem to be enjoying this series, I have been several ideas drafted for future “Once Upon a Dream” installments, so keep an eye out for the next post! Any guesses on what the next theme will be? Until next time!